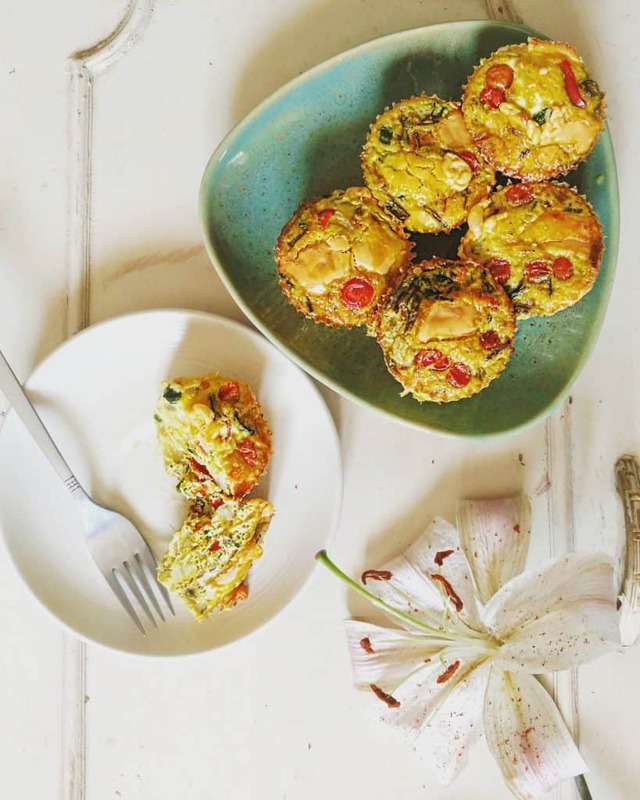 What’s not to love about these egg muffins- aside from the protein punch, these can enfold fat, fibre and essential micronutrients from whichever greens you choose to put in! One of my go-to breakfast choices for obvious reasons – you need not break your head over macro-calculations, these are ready in a jiffy, and oh so easy! All these need is eggs, your choice of greens and an oven. Or a microwave oven that has convection mode. Egg Muffins are also extremely versatile. There is no particular selection of vegetables that is needed for these – just include anything you have available in the refrigerator. A great choice of breakfast for fridge-cleanout days I sometimes use garam masala and coriander in the vegetable mix to give it a desi twist, and use oregano and other Italian herbs to infuse Mediterranean flavors. Basically, do what pleases you and enjoy a balanced, tasty breakfast! Egg muffins are also a great way to sneak in green leafy vegetables in your meal, in case you are someone who doesn’t like the taste of spinach or kale much (a kids-friendly tip). Don’t have much time to prepare breakfast every morning afresh? Make a huge batch of egg muffins, store in Ziploc bags in the freezer, defreeze/ thaw at breakfast and get on with your day with ease. These egg muffins can be stored for up to 2 weeks in the freezer with their freshness and nutrition intact. Heat oil in a non-stick pan, add all vegetables and sauté for 2-3 minutes. Take care to not overdo this – we will bake these later anyway. Add chosen spices, herbs, salt, turmeric, paprika, pepper, green leafy vegetable right before turning the flame off and stir. Beat eggs in a bowl. Add salt if needed. Preheat the oven at 200­°C. Grease the muffin pan/ tray with oil/ butter. Pour the mixture in muffin moulds to 1/3rd level. Place the muffin tray inside the oven. Bake at 200°C for 20-22 minutes. Test if done by inserting a fork or toothpick.